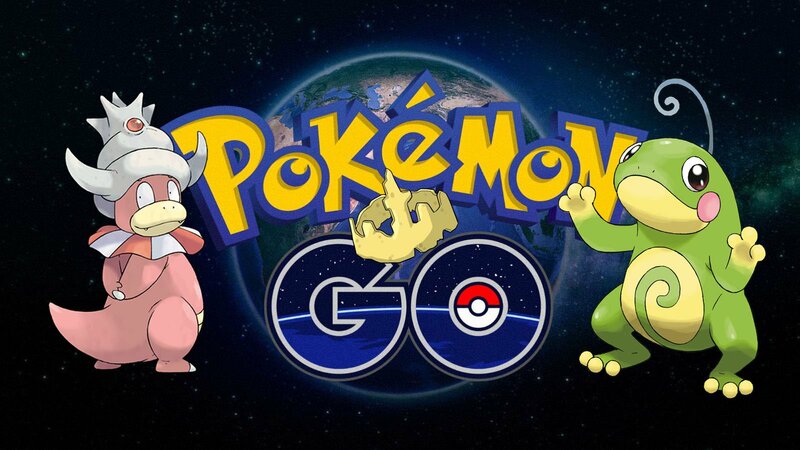 The long awaited second generation of Pokemon Go has finally arrived, and with it a whole bunch of new bits and bobs. In addition to the expected increase in pokemon, we also got a number of new evolutionary items. These sorts of things were noticeably missing from Gen 1, with pokemon like Pikachu and Eevee simply evolving from candy rather than special items, but now they've shown up and are necessary for some newer entries. Today, let's talk about the King's Rock. Why have a Bro when you can have a King? Two new pokemon can be evolved thanks to the power of the King's Rock. The first is one of two final evolutions for that classic lazybones Slowpoke. With the King's Rock, you can transform it into a Slowking, who wears his weird living shell on his head as a crown rather than on his tail, the way Slowbro does. The second pocket monster you can obtain with a King's Rock is Politoed, another alternative final form, but this time for Poliwag and Poliwhirl. If Poliwrath was a bit too aggressive for you, then turn it into an adorable frog instead. If you've already got your Slowpoke and Poliwhirl ready, then all you need is a King's Rock. Unfortunately, there's no super secret way to get one. Like all the other evolutionary items that have been added in, the only way to get your hands on this bad boy is by visiting PokeStops. Luckily, if you manage to get a seven day bonus streak going for PokeStops you are guaranteed to get some form of evolutionary item. Good luck! Need some other rad stuff to play on your iPhone? Check out our Best iOS Games list.